Plumage is olive grey brown. The long bill with strong base is black in breeding male, but rose brown in female and juvenile male. Male has a yellow spot on lower throat, surrounded by olive-grey breast band and lower cheeks, with whitish upper throat. Lesser coverts are chestnut, median coverts form broad white wing bar. Female and juveniles lack chestnut lesser coverts and the yellow spot on throat, but they have distinctive bill shape bill and wingbar, grey legs and an all-dark tail. 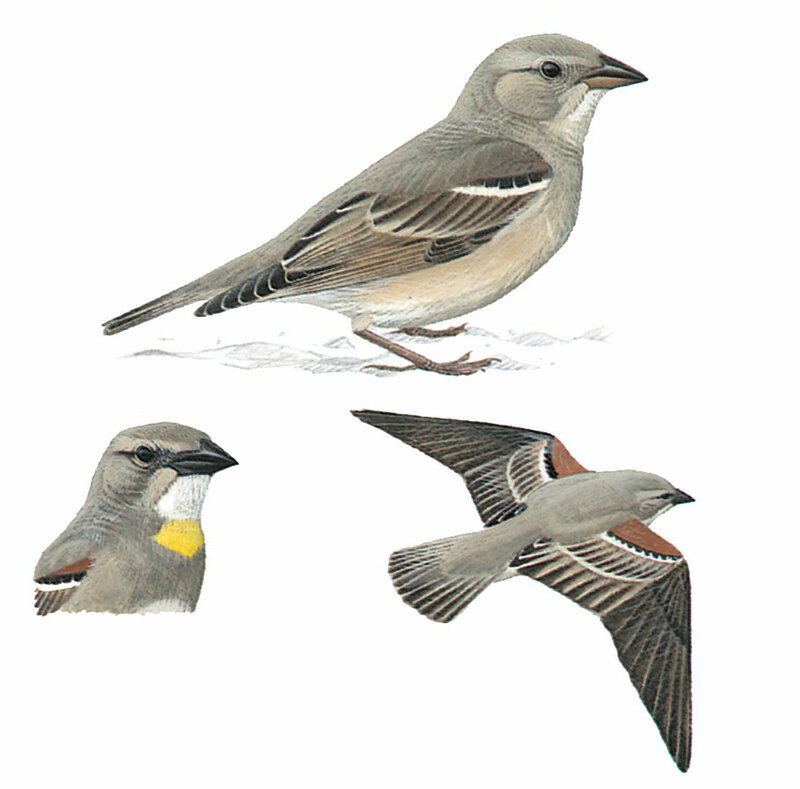 Additionally, dark tail and grey legs help distinguish it from Pale Rockfinch. It perches freely on trees, has finch -like movements on the ground, with a rather pipit-like dipping flight.